"Have you had your latch checked? It's more likely a latch issue than a milk issue; if your latch is slightly off he may be swallowing large amounts of air and he will get very uncomfortable from this." "Burp your baby mid-feed. Makes a world of difference with gassy barfy babies." "Burp more throughout day not just around feedings. Also try burping before feeds. Check out Dunstan baby language." "If you walk around with them tummy down on your forearm, head resting in the nook of your arm. I found this position helped them get through it. And sucking makes their guts move so nurse him. Even if he’s fighting it and cranky...it will help it move through." "Holding upright after feeding helps, as does gas drops and gripe water. The best thing I've found are what I call “fartercise”. Bicycling wasn't enough I have to gently stretch his legs up until his feet touch his face. GENTLY I stress. And I start with knees bent and gentle pressure towards his tummy and work my way up. It was the only way I could get him some relief. Now he giggles the whole time I do it but as he's getting older he is able to take care of most of it himself." "I had gassiness / fussiness problems with my daughter, what I did was to hold her up for an hour or more after each breast feed! Now she's two months and she is better, baby needs time to adjust with everything." "Before cycling baby’s legs get some lotion and do the "I love you" massage (google it) and instead of doing JUST his legs lift his body up and slowly roll it back down, like you would do if you were stretching your back. Doing that gets so much more gas out." 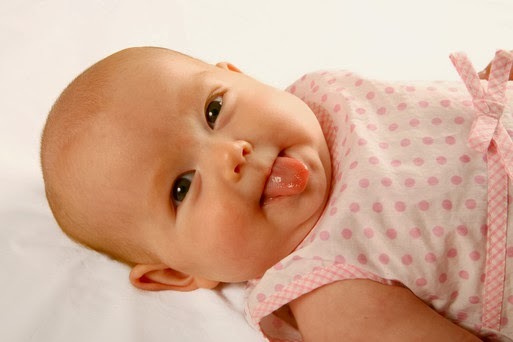 "Along with bicycling baby's legs, I would do infant massage on tummy. Worked like a charm with mine." "Carrying in a sling/wrap close to you is worth trying." "My little guy had similar issues, so I would burp him after 10 min or so. I also wore him everywhere, and the movement helped him a lot. In the Moby wrap I would bounce-walk and it would calm him down when he was screaming in pain." "I wear my baby in a Sleepywrap for most of the day and he is so comfortable, he just sleeps, and wakes when he's hungry." "You can give your baby their own probiotics. It's the only thing that helped my daughter when she had gassiness / fussiness around the same age. We used BioGaia." "Probiotics helped my son so much. We used Flora Baby." 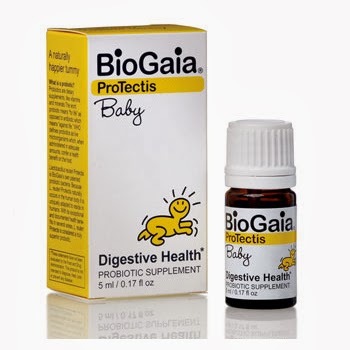 "I give my baby probiotics! Works great! You can get it at any health food store!" "You can buy Florajen probiotics for baby." "I highly recommend probiotics for your baby too! I started giving them to my baby girl when she was 8 weeks for gassiness / fussiness and they worked very fast. I've been giving them to her ever since and she's never had any GI problems. They're very good for immunity and overall health (I've been working on probiotic research in different diseases for the last 8 years). Hope he feels better soon!" "Could be what you are eating... when I made some changes in my diet I saw a wonderful improvement in my baby." "Write down what eat! I found out I can't have pepperoni at all my daughter gets gas and stomach ache so bad." "I chose to cut out many things and it works for me. Some are ok with onions, garlic, soy, dairy, gassy veggies, corn and red meat, some are not. In order to know, you have to cut it out COMPLETELY for a couple of weeks." "I had to cut all dairy and gluten and it made a HUGE difference." "My youngest had an issue with me consuming any caffeine." "Hot sauce hurt my little guy's tummy too." "What about broccoli? Gave mine gas something fierce." "I had to eliminate caffeine, peppers, and dairy from my diet." "Cutting out dairy and other "gassy" foods completely was the only thing that helped us. My baby did grow out of it by about three months except for large amounts of dairy. Goodluck!" "Try the elimination diet. It takes at least 3 weeks of total elimination from your diet for diary to get out of your system and see results that are consistent." "If diary is the problem ALL dairy has to be avoided if it is supposed to work. Any dairy will elicit an adverse response in an infant that is allergic or sensitive to dairy (even hidden diary like casein). Same goes for soy and wheat. Please read this: http://kellymom.com/health/baby-health/food-sensitivity/ Also, if you consider cutting dairy altogether, this list may be helpful: http://www.godairyfree.org/dairy.../dairy-ingredient-list-2 See also here: http://kellymom.com/parenting/parenting-faq/gassybaby/ Take care x"
"Have you tried cutting all soy out of your diet? 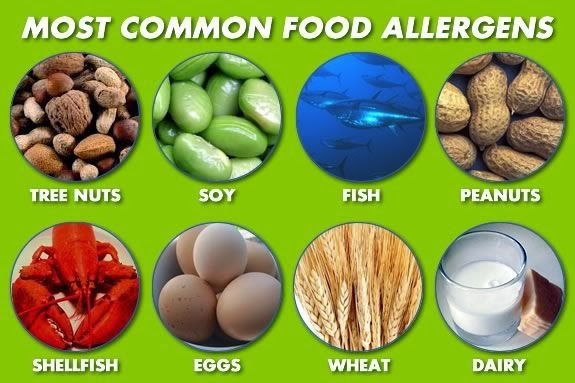 Could be egg allergy, too." "Watch the onions, garlic, peppers, beans, broccoli and cabbage. I know it's tricky getting your feet on solid ground, but you will get there! And it's SO worth it!" "Gluten could definitely be a culprit. Cut gluten containing foods front your diet (pay as much as you can attention to all products labels, it can hide anywhere) just for few days and see what' s new in his status. Take care!" "Watch out for certain seasonings too. All I can eat is salt on my food. Only veggies are corn and squash too. It's worth it as no screaming baby! Oh and no soy either, even soy oil or lecithin... which is in chocolate!" "My daughter was like this and it turns out she is cows milk protein intolerant. This meant I couldn't have any dairy or soya in my diet - none at all. It takes a month to get out of your system so you have to be patient, but it definitely worked for us. She's now 20 months and still has a dairy and soya free diet. Could be worth a try." "What are his poops like? If green and lettuce like, you may have a foremilk/hind milk imbalance....baby may not be getting the full day milk that comes toward the end of a feeding session." "It may be a foremilk and hindmilk imbalance, try to make sure he feeds at least 25 mins both sides. Lots of good energy, you can do it!" "We had this issue ourselves! For us it had nothing to do with what we were eating, or when I breastfed. My baby was getting too much of the start of the breast milk that is like skim milk, and not enough of the cream at the end of the feeding. If this is your issue, feed on one side until that breast is completely empty. Even if the baby stops because it's full, start again on that same side the next time until it is empty. This way the baby gets all the digestive enzymes that are in the thicker milk to help them digest the skim. We fixed that problem in 24 hours doing that. We sure had a lot of crap advice to the contrary though. Hang in there!" 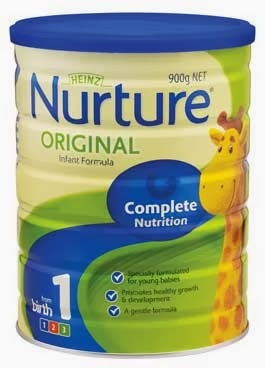 "How long is your baby nursing on one side?...If he is a quick nurser he could be getting too much foremilk. Foremilk has a lot of lactose in it when that lactose mixes with his little intestines it is painful. And creates a colicky acting baby. Try nursing on one side for a block if time. Each time in that block baby nurses go to the same side, don't switch. When the block is over do the same on the other side. Good luck!" "Try feeding on one side only. My little guy was getting horrible gas from too much foremilk. Once I started nursing him on just one side it helped tremendously. I pumped out the other to keep my supply up. Around eight weeks it all changes a lot anyway. Stick it out mama! You're doing a great job!" "When my daughter had that problem our issue ended up being my letdown was too much for her to handle and caused her to take in air. We switched nursing positions to one where she sat upright while nursing and this worked out great for us." "It may be reflux. My son has it. He just takes reflux medication and keeps on breastfeeding." "You could ask your doctor to give you acid reflux meds and if the problem is reflux it will all go away within days. It worked for all 3 of my children. After weeks of crying with my first. 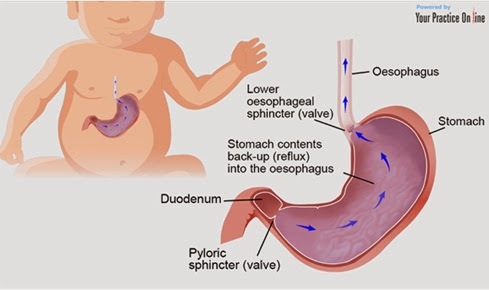 Acid reflux is common in children whether breastfed or bottle fed. So if the problem is reflux, changing to formula will not fix this problem at all, the baby will still be fussy and upset." "Might be acid reflux, try Ranitidine. Get it from your doc. That is what my baby had and it worked. He had the same symptoms." "Time will solve it, some babies are gassy and colicky but this won't last forever! Don’t give up because it is just a stage!" "My pediatrician said baby’s guts "wake up" at around 4-6 weeks and they are just fussy and gassy for a little while." 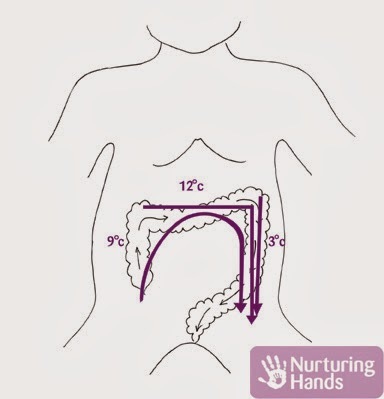 "Some babies might just have a rougher time getting their digestion up and running smoothly. Baby will make it promise." 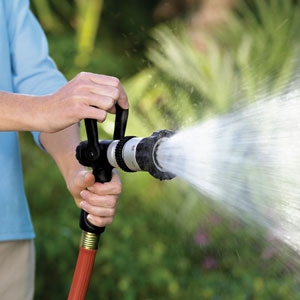 "Gas starts going away around 2 months old. My baby just smiles and farts now when it was so bad at first." "We went through gassiness / fussiness with my daughter (now nearly 8mo). It was a rough 6 weeks but after that she was much better." "ALL my babies (4) went and are going (3weeks old) through a period of gassiness / fussiness. I honestly think it is just their guts adjusting to life on the outside. I nursed them all until after 2 years old including my 21 month old I am still nursing along with the 3 week old." "Both my babies always seemed in pain with gas, grunted, cried, and struggled...but breast feeding helped them push through it. It does and will pass as he grows, it may seem like it takes them forever to do so, but it will happen. Keep on breast feeding!" "It will go away, mine went through a gassy phase at 6 weeks and it was gone around 8 weeks or so." "My son had colic for the first three months of his life. He was our first baby and it broke our hearts to see him in such pain. He cried constantly and so did I. Everyone I knew (and didn't know) commented on his colic and many insisted I switch to formula. I refused and nursed him for the first three years of his life. I have absolutely no regrets about this decision. He was a very high needs baby who was and still is super sensitive but today he is an amazing 5 year old." "I nursed, held and wore him constantly as a baby and I truly believe this attachment parenting created the foundation for a remarkable and confident young boy. Good luck to you, follow your heart and try to remain positive. His colic will decrease with age and you too can experience an incredible relationship together particularly with breast feeding." "Both my babies were gassy in the beginning. What I can say is that by 12 weeks it disappeared completely, it's just that until then their tummies are incapable of digesting properly. Hang in there, I promise it passes." "They say breastfed babies don't get colic but mine did, it was awful, but once we started colic drops it settled down." "Baby Gerber Colic Drops. I didn’t believe in it til I tried the drops." "Simethicone is good - it gathers all the air in the tummy just ingested with a feed, and it all gets burped up in one glorious burp! After a day of this, the colic settles down a lot as those tiny air bubbles never made it into the intestines. My son is 12 weeks and had a lot of colic. I started giving him simethicone a few weeks ago and it's made a difference." "Mylicon works for my son." "I had to give my baby Levsin (Hyoscyamine) and it worked wonders!" "I used to use Infacol drops before each feed which helped." "My baby was really gassy the first month or so too. I used the target brand gas drops. It worked better than the gripe water. And it tastes way better." "Try Little Remedies: Little Tummies. Both of my kids used it." "My son is 7 weeks old and went through this the first 6 weeks. He has reflux and now is on a PPI medication and I give him gas drops Colic Calm he is a whole different baby! It’s truly trial and error! good luck momma!" 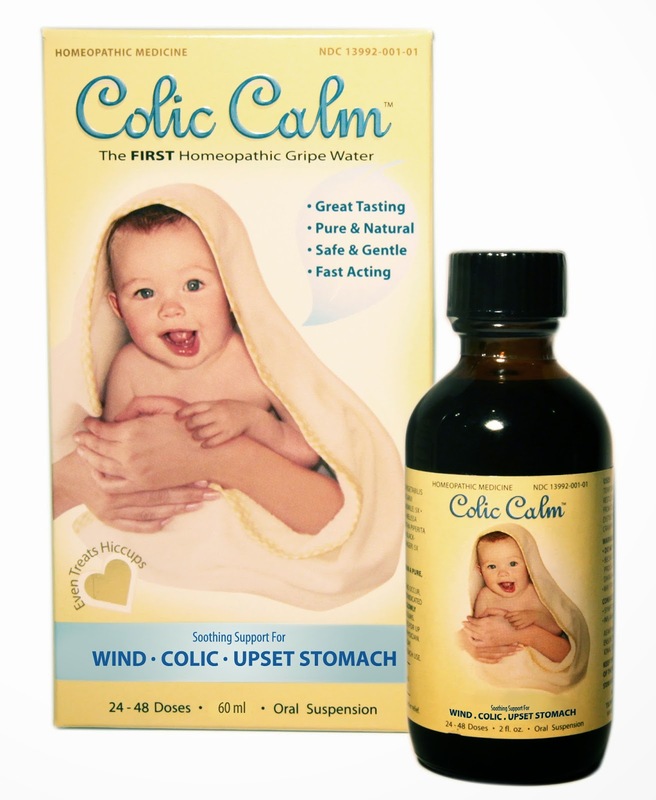 "I got stuff called Colic Calm at Walgreens and I'll tell you what IT WORKS! Invest in some! "Try a product called Iberogast it's an amazing herbal product that is great for wind, colic and reflux." "My son was very gassy and the only thing that worked was Ovol." My daughter responded well to a little chamomile tea! I'd breastfeed then give her a couple tablespoons of tea...big burp, big fart and she was happy. Good luck mama"
"Try cooled fennel tea or homeopathic chamomilla. My boy was the same and they really helped. Health food shops stock chamomilla granules especially for tiny ones." "My baby had issues with gas and my pediatrician suggested an ounce of prune juice mixed with an ounce of water once a day. Helped my little guy out tons!" "Buy some carroway seeds and make a tea out of it, you and the baby should drink some, it will help the gas get out!" 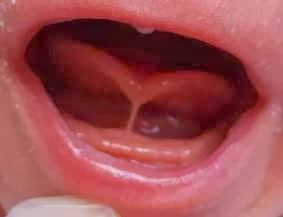 "Just make sure that your baby does not have lip or tongue tie that would cause the baby to have a poor latch and get more air when eating. Look at www.kiddsteeth.com to get information about how to check. If you think this is a problem, you can PM me. Good luck! This probably isn't the issue, but I just wanted you to rule it out because it does affect 3-5% of babies." "My son was diagnosed with GERD and given Zantac. It helped for a few months but he started presenting similar symptoms again. We took him to a chiropractor that diagnosed him with a hiatal hernia. He's been so much better ever since! I suggest looking into a reputable chiropractor that works on infants. And they don't adjust infants the same as adults. My son was on my lap the entire time. Good luck!" "Chiropractor works miracles for babies! Highly recommend, we dealt with the same issue with my youngest and nothing else helped but the chiropractor. Good luck!" "Worst possible idea is to switch to formula - it will only make things worse as formula is a lot harder on an infant's gut than breast milk. Even just a bottle can cause severe damage to the natural Ph level of his gut. My son was the same, very colicky. I just persisted and he is now 5 months, still breastfeeding and very happy! Don't supplement his milk with anything, and just hang in there. http://www.health-e-learning.com/articles/JustOneBottle.pdf"
"Formula actually gave my daughter much worse gas." "We tried formula and it made no difference with gas! Only made him constipated." "It may have nothing to do with his stomach or the milk. 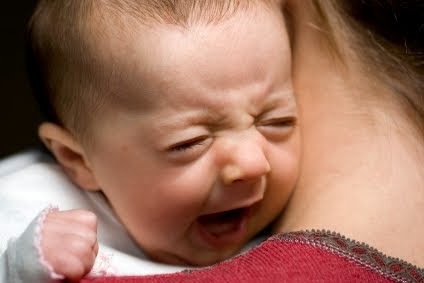 Colic is not always caused by stomach issues. My baby had colic for the first 4.5 months and it was so difficult but I was given a book called "Happiest Baby on the Block". Seriously this book is a must read for mothers of colicky or fussy babies, it saved our sanity. He will grow out of it and the book gives real solutions for calming him in the meantime that work. Good luck and don't give up yet."